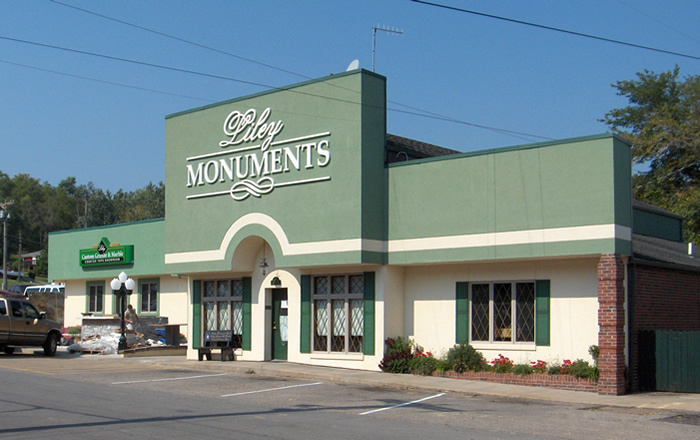 For over 50 years families have trusted Liley Monument Works in helping them honor their loved ones. From monuments to mausoleums, plaques to benches, our caring and experienced staff will help you design a lifelong memorial. We also work with contractors and home owners who would like a unique house number as a finishing touch to their home. With our in house artists and new laser etching machine, we are able to customize almost any project you can think of. Come in today to sit down with one of our consultants and see what we can do for you. Liley Custom Granite Countertops has a new website! Our Custom Granite Countertops can be found at LileyCountertops.com. Please take a look around If you cannot find a particular product or need any assistance please give us a call. The Liley Family is pleased to announce that Adam C. Liley, has joined the Family business as a Sales Consultant. He will be based at our 409 Union Street, Marble Hill, Missouri location. We invite you to stop by and visit him. The Liley Family has been at this same location for over 60 years. We will not be undersold based on the Quality of our Work!